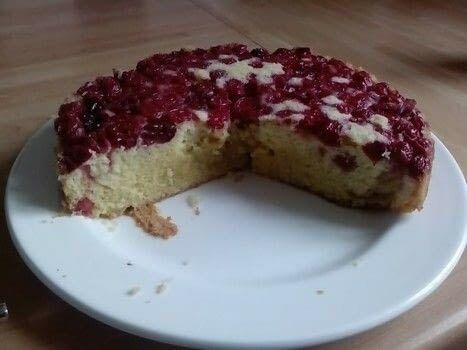 When I made my cranberry vodka one of the people who favourited it said she made a cranberry upside-down cake with the cranberries when she made it. 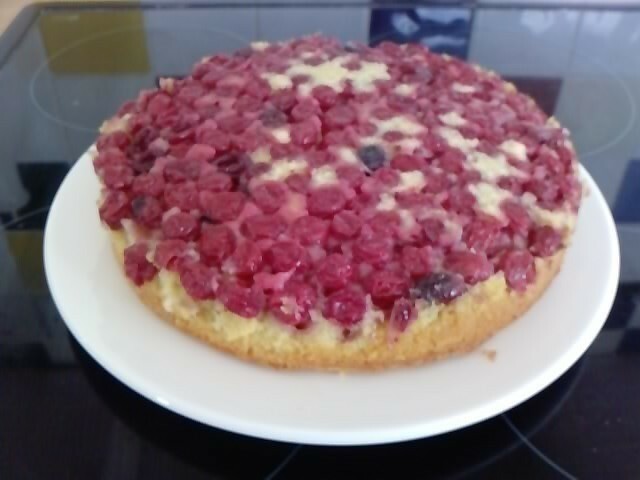 So I decided to follow suit and make a cranberry upside-down cake! The only problem i had with it was the cranberries retained a lot of the vodka flavour. Which is ok but if you're not all that keen on vodka like me then it's not so good! Sorry about the lack of pictures. I only thought about making this a How-To after I'd made it (and eaten some)! Also line or grease your cake tin. Cream together your sugar and margerine til it become white-ish looking. Fold in an egg and a tbsp of flour. Do this until all the eggs are done. You should have flour left over. Fold the rest of this in. It should now be a smooth mixture. Put the cranberries in the bottom of the cake tin and pour the cake mixture on top of it. Bake the cake for 25-30 mins. Test it by putting a skewer or cocktail stick in and making sure its clean when it comes out. Alterntivly if its golden brown and when you knock it on top it makes a sound then its done! Leave to cool for a few moments and then very very carefully (i burnt my finger on the bottom of the tin!) take it out.